Successful... When You Want To Manage Projects, Tasks & People... There Is No Better Solution! And BOOM! Just like that things get done, tracked and managed! 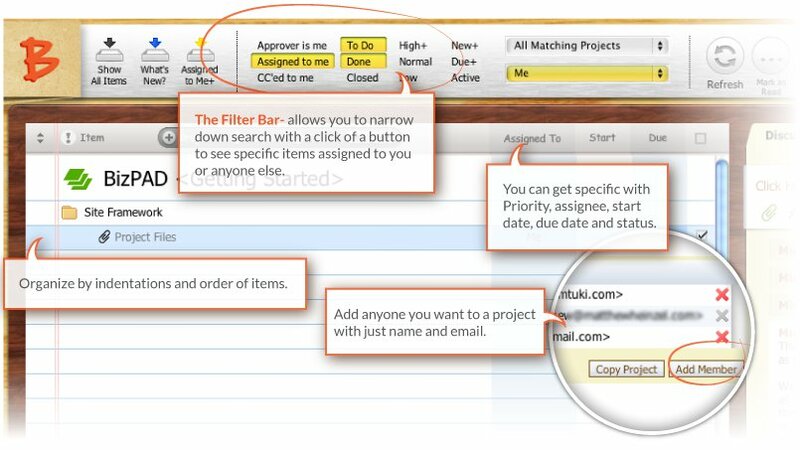 Brilliant Task Organizing- Tasks are more likely to get done, on time and on budget! Enables Easy Management- Controlled settings and preferences enabling effective supervision of tasks and team. eliminate 3rd party file sending like yousentit/dropbox etc. What Actually Happens In BizPAD? You can store anything: ideas, reminders, meeting notes, action items, conversations, faq's, documents, files, reports, anything! "Wikipad is integrated right into the project. This unique section of BizPAD allows you to add notes, create an ongoing discussion or detail project outlines. 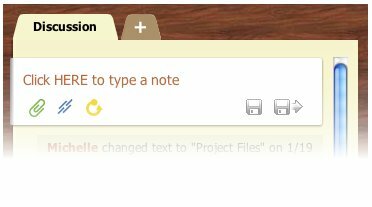 The best feature however, is the ability to collaborate on shared documents with others. The wikipad section completely eliminates the need to upload or download project files! The BizPAD interface is designed to put everything you need right at your fingertips. Easy to use and intuitive, BizPAD makes organization and management a breeze! Also a great delivery and management tool if you are a: Speaker, Author, Coach, Seminar Leader or an Online Marketer. Please type your email address below so we can send you a password reset link. If you have a spam filter, be sure to unblock Bizpad@Bizpad.com.
. If you have a spam-filter, be sure to unblock Bizpad@Bizpad.com. If you typed the wrong email address, you may try again. Not receiving our password-recovery emails? If you are not receiving our password-recovery emails, please type your name, email and phone number into the box below, and a support rep will call you within one business day.